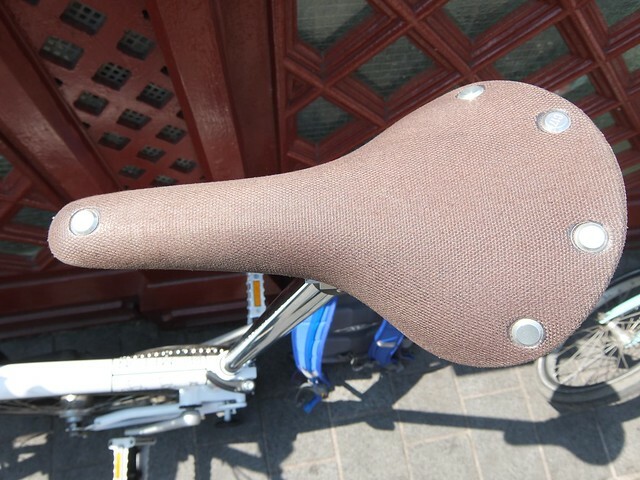 When I bought the Brompton, there was the option of upgrading the saddle to a Brooks saddle. I decided against on the basis that I would see how the standard Brompton saddle faired as the one on the test model I’d ridden didn’t seem to bad. 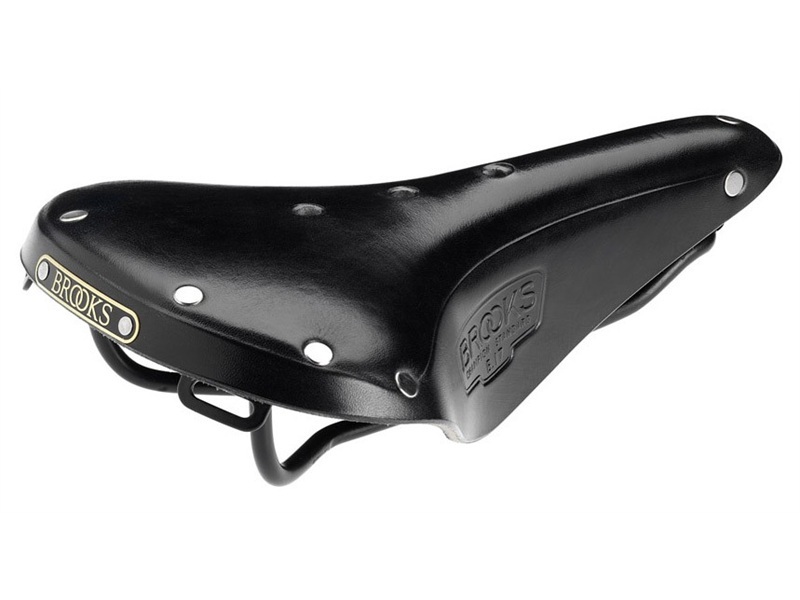 I’m also not a fan of the Brooks saddle - I didn’t like the look. 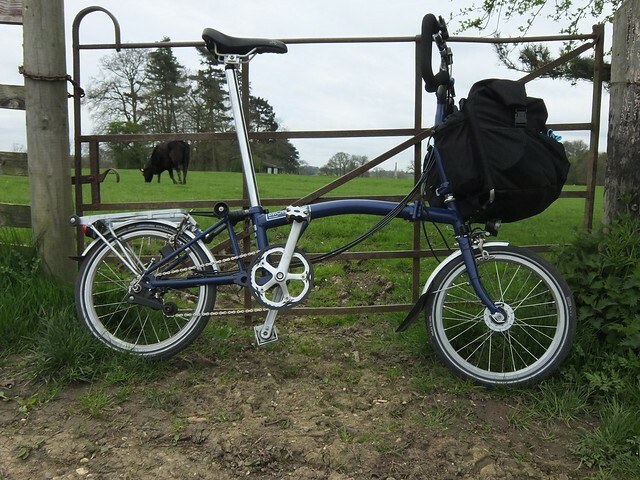 So I stuck with the Brompton saddle for a few hundred miles and it didn’t seem to bad at all. However, there was a saddle I had in mind - the Charge Spoon. The Spoon was a saddle I’ve put many miles onto as I had one on my hybrid I bought years ago, moved that to my road bike and then moved it to the hybrid I bought in January. Overall, it’s a really comfy saddle and so I thought it was perhaps time to move it to the Brompton. Don’t get me wrong, the Brompton saddle is pretty good, but I knew that the Charge was like an old friend. Well, I ordered the Charge Spoon and put it on the Brompton. However, I soon realised my mistake. A week of commuting and a weekend ride of constant adjustments, I just couldn’t get the saddle set up nicely. The weekends ride was enough really. I couldn’t get it right - perhaps it’s not suited to the Brompton but either way, everything I tried was to much of an issue. So it looked like I was stuck with the Brompton saddle again. 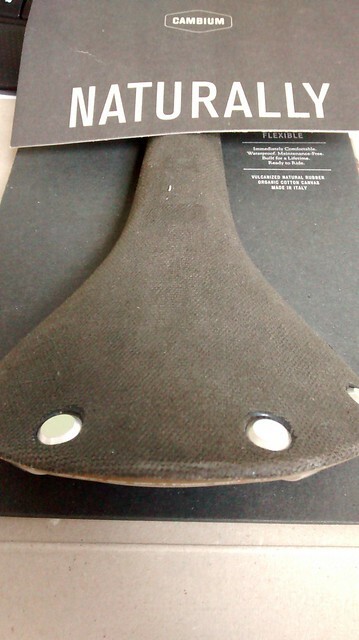 That was, until I saw that Brooks had released the Cambium saddle in Slate. The Cambium I do like the look of - it looks like an actual saddle, compared to the standard Brooks saddle that looks like a saddle with wings… I’d seen the Cambium before but it was originally released in a fairly awful looking straw colour which wasn’t going to go anywhere near my bike. I walked into the Brooks store in Covent Garden to buy it as it’s a fairly new saddle and I wasn’t able to get it in the Brompton Junction yet, so I cycled the short distance to the Brooks store. It’s the first time I’ve seen a Brooks product up close (well, exception is my multi tool - I bought the Brooks one in February at the London Bike Show) and was seriously impressed with the quality of it. I purchased mine from the Brooks store in Covent Garden and it packaged nicely. You knew you were getting a premium product. However, as the Tweed Run was that weekend, they assumed I was getting it for that. Unfortunately, with no ticket for the Tweed Run, I was just buying it as I wanted it (and the Brompton Urban Challenge would be it’s first outing on the Sunday). Placing it on the Brompton was easy - benefit is that you can use any saddle on the Brompton. Like the Spoon before it, I have to mount the Cambium all the way at the top of the seatpost and have the seatpost extended all the way up to allow me to have a comfortable riding position. I’m even using the extended seatpost. My first ride with it was the Space for Cycling ride on the Saturday with the London Cycling Campaign and the CTC. On the ride, I was asked by a fair number of people what I thought of the saddle. It was a bit early to give an informed opinion! 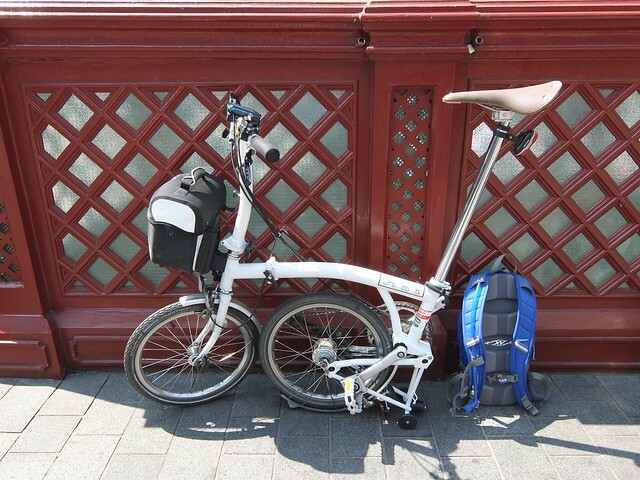 That completed, I undertook the Brompton Urban Challenge on it. You can read my post on that here. Overall, I was impressed the saddle and it held up well. The P type is my Brompton of choice for long distances. This is on the basis that the hand grips allow me a range of hand positions for the longer times in the saddle. It also has a lower gearing (the -12% or 44T “upgrade”) that can be fitted to the Brompton (on the basis that if I’m cycling further, I want to cope with the hills more! - Mind, I coped ok on the London Classic of which, I regret I didn’t blog about). Anyhow, on my last long distance ride to Cambridge, I thought that the bike could do with a new saddle. Likewise, after the second day of the Loughborough to Hatfield tour I did, the second day was fairly tender. So something had to be done. Now having a Brooks saddle, I knew that it was comfy so that wasn’t an issue. Nor was the cost - as a comfy saddle will be the best purchase I can make for the bike! Anyhow, I’d deliberately not got a B17 (the classic Brooks saddle) for my bike because I didn’t like the “wings” that the saddles have. I fitted that this weekend and thought I’d do a short test ride as I needed to proof the saddle (as it’s leather, it needs looking after) and I’d heard that an unbroken in saddle can be uncomfortable so I thought a small ride would be in order. However, it turned into a 46Km ride. Not quite sure how that happened but I think I just kept going. Not bad after doing the morning trip to the shops.